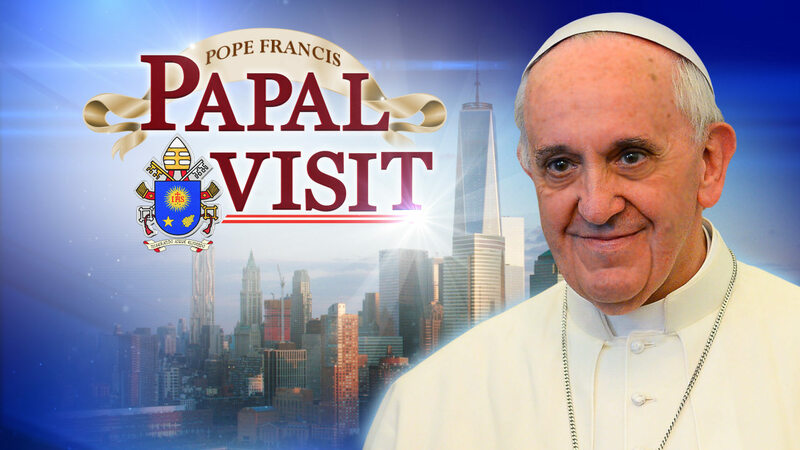 NEW YORK (WABC) -- Organizers on Monday announced a star-studded two-hour concert that will precede Pope Francis' Mass at Madison Square Garden during his whirlwind trip to the U.S. on September 25. The Archdiocese of New York, in collaboration with the Archbishop Fulton J. Sheen Center and Diversified Production Services, proudly presents A Journey in Faith, a very special afternoon program of prayer, reflections and devotional music for parishioners to attend ahead of the Holy Sacrifice of the Mass. Doors for this event will open promptly at 2 p.m., and the show will commence at 3 p.m.
Pope Francis will arrive at 6:15 p.m. prior to the Mass at 6:30 p.m. Featuring performances by Jennifer Hudson, Gloria Estefan, Harry Connick, Jr., James "D Train" Williams, Kelli O'Hara, Norm Lewis, Broadway Inspirational Voices, Joseph Joubert and the Saint Charles Borromeo Choir, with Rob Mathes serving as Musical Director, and appearances by Martin Sheen and many other special guests, A Journey in Faith offers attendees the opportunity to reflect and prepare for Mass through the recitation of the Rosary, the Sacrament of Reconciliation, and prayerful worship in song. Tickets to A Journey in Faith and Mass have been disbursed through the Archdiocese of New York and her parishes. For further information on the participating artists, please click here.